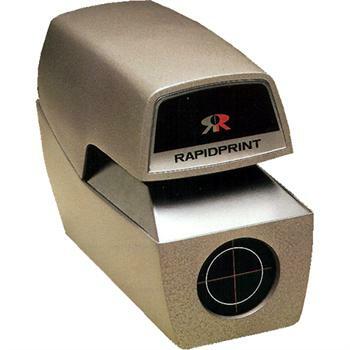 The Rapidprint Mechanical Numbering Machine Stamp sets the performance standard to which all others are compared. There is a reason the Rapidprint series are the best of the best, as they provide reliable performance coupled with long-life durability. The Rapidprint AN-E provides an efficient, cost effective way to print numbers (consecutive or repeating) on your important documents. These numbering stamps allow for quick recording on all your business forms from onion skin to 1/4" thick. Rapidprint offers a one-year manufacturer's limited warranty. Warranty does not include consumable parts. With few exceptions, all are return to depot for service. User must pay for shipping to depot. Repaired products will be returned with shipping charges prepaid.